DHANGADHI, Sept 27: Protests have erupted in Dhangadhi after Godavari of Kailali district was proposed as the permanent capital of the Province 7. The protesters claim that the shifting of the capital to Godavari will cause destruction of vast swathes of forests.Godavari is a forested area, which lies around 20 kilometers to the north of Dhangadhi, the provisional capital of the province. A formal proposal to shift the capital was presented in the provincial parliament on Wednesday. The proposal has recommended naming the province as Sudurpaschim and fixing Godavari as the capital. 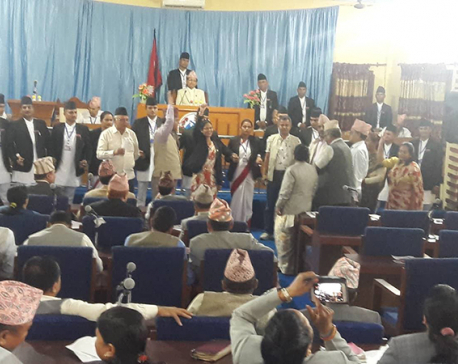 Lawmakers from the ruling Nepal Communist Party approved the proposal while lawmakers from the main opposition Nepali Congress (NC) and Rastriya Janata Party objected. The disgruntled parties claimed that the capital is being shifted against the wishes of the general public. While the provincial parliament discussed the proposal Wednesday, residents of Dhangadi burnt tires and chanted slogans in protest. Dhangadhi Submetropolis Mayor Nirpa Bahadur Od, who was elected to the position from the opposition NC, also participated in the protest. 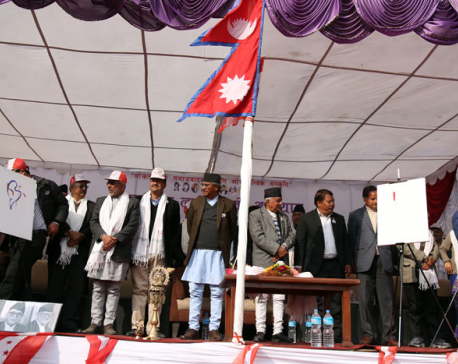 The protesters chanted slogans that the forest be protected.“Dhangadi has already spent billions of rupees in infrastructure development and has everything needed for becoming provincial capital. 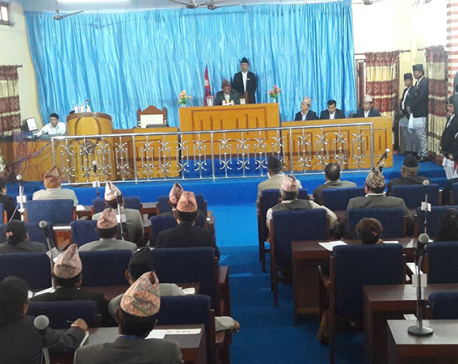 Now the government has come under the influence of land mafia and brought the proposal to shift the capital to the forest,” said Mayor Od.NC lawmaker Dr Rana Bahadur Rawal also voiced his dissent. “If we cut trees to build capital in Godavari, it'll have severe implications on the environment. Likewise, construction of new physical infrastructures for the capital would also drain the state coffers,” he said.